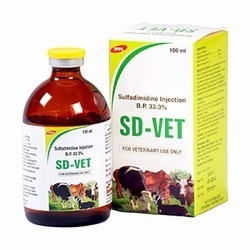 We are the leading manufacturer of veterinary formulations for different species like Cattle, Goat, Pets, Calves, Horse, Buffalo, Camel, Poultry, Pig, Sheep, Swine, Calf etc. Cattle : Administer with a dose 2.5 ml / 100 kg body weight with IM. Do not use in animals suffering from impaired hepatic,cardiac or renal function and haemorrhagic disorders,or where there is evidence of ulcerogenic Gastrointestinal lesions. 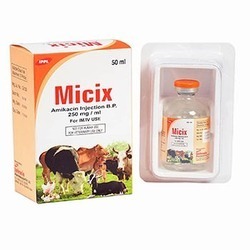 Do not use in case of hypersensitivity to the active substance or to any of the excipients.For the treatment of diarrhoea in Cattle,do not use in animals of less than one week of age. While parenteral use is only approved in Dogs,amikacin is used clinically to treat serious gram negative infections in most species.It is often used in settings where gentamicin-resistant bacteria are a clinical problem.The inherent toxicity of the aminoglycosides limit their systemic use to serious infections when there is either a documented lack of susceptibility to other less toxic antibiotics or when the clinical situation dictates immediate treatment of a presumed gram negative infection before culture and susceptibility results are reported.Amikacin is also approved for Intrauterine infusion in mares. As directed by the veterinary physician.Administered by Intramuscular and Intravenous use only. Aminoglycosides are contraindicated in patients who are hypersensitive to them.Because these drugs are often the only effective agents in severe gramnegative infections there are no other absolute contraindications to their use. However,they should be used with extreme caution in patients with preexisting renal disease with concomitant monitoring and dosage interval adjustments made.Other risk factors for the development of toxicity include age(both neonatal and geriatric patients),fever,sepsis and dehydration. Overanges of vitamins are added to compensate loss on storage. Liver disorders like fatty liver degeneration and hepatitis. Neurological disorders e.g. Nutritional Neuritis,dermatitis,macrocytic anemia. To prevent anemia and normal RBC production. As a supportive therapy with antimicrobials and antiparasitic treatment. 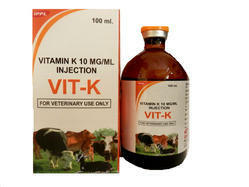 Cattle,Buffalo,Horse : 5 to 10 ml IM or IV daily for 3 to 5 days. Dog : 2 to 3 ml IM or IV daily for 3 to 5 days. East Coast Fever(ECF, Theileria parva infection) of Cattle.Parvaquone kills the schizont and piroplasm state of parasites.The product may be used in animal showing clinical signs of Theileriosis and it can be also used as prophylaxis in infected animals which are not showing the signs. Intramuscular route into the neck muscles. 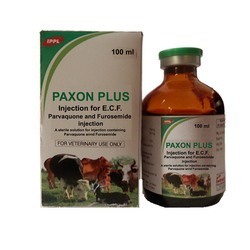 Parvaquone shows no any side effects with any other commonly used veterinary products. 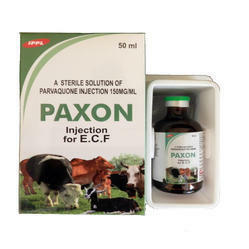 PAXON PLUS is a potent Injection treatment for theileriosis(East Coast Fever) particularly for advanced cases with pulmonary oedema. Parvaquone is theilericidal, acting on schizonts and piroplasms: Frusemide is a diuretic, which resolves pulmonary oedema. Horse : Diseases affecting the osteoarticular and muscular-skeletal system associated with acute pain and inflammation.Lameness of traumatic origin, Naviculitis,Arthritis,Laminitis,Osteitis,Spavin,Myositis Tendinitis,Burstis.Ketoprofen is also indicaed for post-surgical inflammation,symptomatic therapy of colic and fever. Respiratory infection & acute clinical mostitis in Cattle. Horses : 1.0 ml per 45 kg bodyweight. Administration to lactating animals and pregnant heifers within 60 days of Calving.This product is not for Intravenous or Intramuscular use. 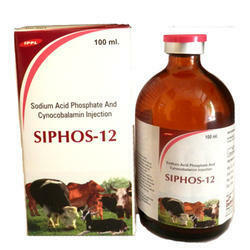 For treatment of respiratory, lymphangitis,young’s septicaemia and coccidiosis in Sheep and Goat,Cattle and Calves. 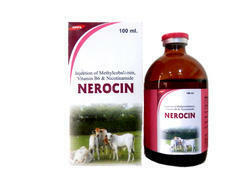 For treatment of respiratory and coccidosis infections in Poultry and Pigs. For Subcutaneous and slow Intravenous administration. Cattle : 3-6 ml.per 10 kg.Bodyweight the first day,followed by 3 ml per 10 kg. Body weight on following 2-5 days. Pigs : 50 mg per kg bodyweight during 3-7 days. Poultry : 100 mg per kg bodyweight during 3 days. In cold weather the solution may deposit fine crystals. These will re-dissolved on gentle warming. Contraindicated in known cases of hypersensitivity to sulphonamides and in animals with severe liver damage or blood dyscrasias. Cattle,Sheep,Goat & Poultry : Meat : 18 days. Cattle : Milk : 6.5 days. Not for use in Sheep producing milk for human consumption. Pigs : Meat : 42 days. 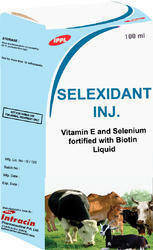 Depending on the actual product and species,Vitamin E with Selenium is indicated for the treatment or prophylaxis of selenium-tocopheral deficiency (STD) syndromes in ewes and lambs(white muscle disease), sows,weanling and baby Pigs(hepatic necrosis,mulberry heart disease),Calves and breeding Cows(White muscle disease),and Horses(myositis associated with STD). A vitamin E with Selenium product is also indicated for the adjunctive treatment of acute symptoms of arthritic conditions in Dogs,but its efficacy for this indication has been questioned. Calves, Goats and Sheep:2 ml per 10 kg bodyweight,repeat after 2 - 3 weeks. Swine : 1 ml per 10 kg body weight, repeat after 2 - 3 weeks. Vitamin E with Selenium products should only be used in the species in which they are approved.Because selenium can be extremely toxic,the use of these products promiscuously cannot be condoned.When administering Intravenously to Horses,give slowly. STREPTICILLIN is highly effective against a wide variety of Gram-positive & Gram-negative bacteria sensitive to Penicillins and Streptomycin such as Arcanobacterium pyogenes, Erysipelothrix rhusiopathiae, Klebsiella pneumonia, Listeria spp, ,Mannheimia haemolytica, Pasteurella multocida, Staphylococcus spp (non-penicillinase producting),Streptococcus spp, Salmonella spp. Also helpful in infections of unknown origin. 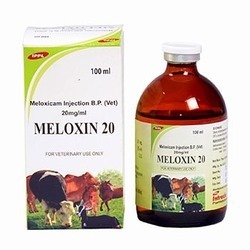 Large Animals : 2ml / 50 kg b.w. Small Animals : 1 ml / 5 kg b.w. STREPTICILLIN is highly effective against a wide variety of Gram-positive & Gram-negative bacteria sensitive to Penicillins and Streptomycin such as Arcanobacterium pyogenes, Erysipelothrix rhusiopathiae, Klebsiella pneumonia, Listeria spp, ,Mannheimia haemolytica, Pasteurella multocida,Staphylococcus spp (non-penicillinase producting),Streptococcus spp,Salmonella spp. Also helpful in infections of unknown origin. 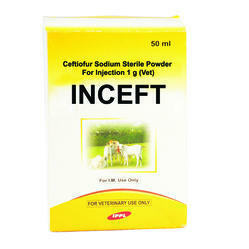 It is indicated for infertility cases such as under developed Genitalia,Delayed, maturity,Anoestrus and maintainance of pregnancy.It is very effective to treat Metabolic disorders such as:Post parturient Haemoglobinuria, Hypophosphataeimia,Ketosis & Milk Fever.It is useful in General debility conditions and in the treatment of Bloat,Tetany,pica & Rickets in lambs. Large animals:5-10 ml daily for alternate days. 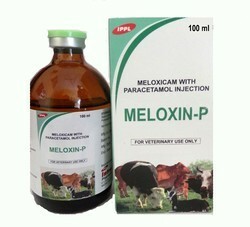 Small animals: 2-5 ml daily dose can be adjusted according to the phosphorous need of the animal. It is advisable to administer half the dose by s/c route in several places. 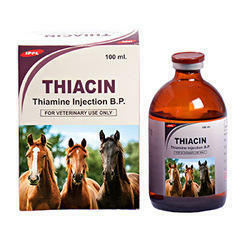 THIACIN Injection provides the essential vitamin Thiamine. THIACIN plays an important role in the metabolism of carbohydrates, and energy production for all cells.Thiamine is most important in the breakdown of pyruvic acid, a waste product in hard working muscles, along with lactic acid. In any situation where carbohydrates are the major energy source, or when glucose is added to the diet, thiamine requirement is increased significantly.Thiamine is essential as part of the coenzyme which is involved in the breakdown of glucose for energy.Thiamine, in conjunction with Vitamin B6(Pyridoxine) is essential in the metabolism of proteins and amino acids, Thiamine has effects on all tissues. The most sensitive are nerves, stomach and heart.Thiamine can not store in the body, and it is rapidly absorbed from the intestine or blood, as well as from injection sites. Like all B Complex vitamins, Thiamine is water soluble, so it is rapidly absorbed and excreted from the body, and requires regular supplementation, especially in hard working animals when dietary input will probably not be sufficient.Thiamine is found in both meat and cereal products. Small amounts are manufactured in the gut, as long as Horses are not under stress.Thiamine in food is destroyed by cooking.High dose of thiamine are reported to help calm nervous or over excitable Horses.Clinical signs of thiamine deficiency include fatigue, muscle weakness,loss of appetite and increased heart rate. (This may be an important factor in endurance Horses fed high grain diets). Many of these signs can be traced back to increased tissue levels of lactic and pyruvic acids. Never cells are particularly dependant on carbohydrate metabolism, and normal never function is greatly effected by increased levels of these acids during hard work. 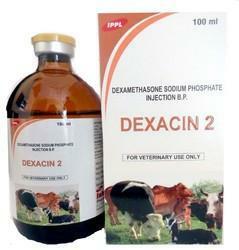 For the treatment of mastitis, resoiratory tract infection, skin and soft tissue infection. 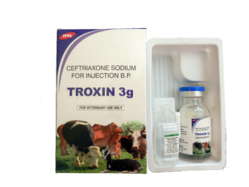 Ceftriaxone is contraindicated in animal with known allergy to cephalosporin class of antibiotics. Careful inquiry should be made to determine whether the animal has had a previous history of hypersensitivity reaction to cephalosporins, penicillins or other drugs. Biliary elimination occurs and hence, Ceftriaxone should be given cautiously to those species of animal with extended large intestines e.g. Horse. Large Animals : 5-10 mg/kg. wt. twice or once daily by I.M./I.V. route. Buffering Agent : Anhydrous Sodium Citrate U.S.P. 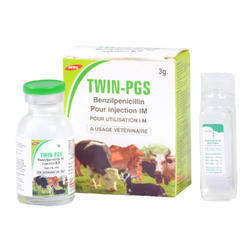 TWIN-PGS is used in treatment of mastitis, metritis, actinomycosis,anthrax, black leg,tetanus,haemorrhagic septicaemia in Cattle; Strangles,corynebacterial pneumonia in foals,tetanus in Horses; Erycephalus in Pigs; Tetanus,foot rot,malignant oedema in Sheep and Goat;Rickettsiosis,tetanus and wound infection in Dogs. Sheep,Goat and Dogs : Intramuscular 20,000 to 40,000 I.U. per kg of bodyweight every six to eight hours. Horses and Cattle : Intramuscular 20,000 I.U. per kg of bodyweight every six to eight hours. Do not use in animals with a known hypersensitivity reaction to any of the penicillins. TWIN-PGS should not be used in Cats,Rabbits,Guinea Pigs,Hamsters,Gerbils or other similar small animals. Animal must not be slaughtered and milk may not be used for human consumption during treatment. 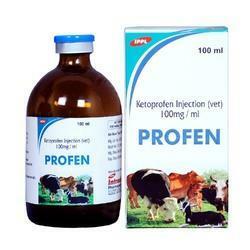 For Intramuscular Injection in Cattle, Buffaloes, Sheep & Goat. It can be used in lactating dairy animals. • Genital infections of bovine(acute metritis,cervicitis,prolapsed related to retention of placenta cases) associated with Arcanobacterium pyogenes, Fusobacterium necrophorum and bacteroids spp. • Respiratory diseases of Cattle,Buffalo,Sheep and Goat (Shipping fever, pneumonia) associated with Pasteurella haemolytica,Pasteurella multocida & Haemophilussomnus. • Acute interdigital necrobacillosis (foot rot,pododermatitis) caused by Furobacterium and Bacteroides. Cattle,Sheep and Goat: 1.1 to 2.2 mg/kg b.wt. or 1 to 2 ml(after reconstitution)/45.45 kg b.wt. by IM use only,once daily for 3-5 days. Buffalo: 2 to 2.4 mg/kg b.wt. by IM use only,once daily for 3-5 days. Dog: 2.2 mg/kg b.wt. by SC use only,once daily for 5 to 14 days. Camel: 2.2 mg/kg b.wt. by IM once daily for 3-5 days. Horse:2.2 to 4.4 mg/kg b.wt. or 1 to 2 ml(after reconstitution)/22.72 kg b.wt. by IM use only.once daily for 3 to 5 days. Swine:3 to 5 mg/kg b.wt. or 1 to 1.7 ml(after reconstitution) / 16.66 kg b.wt. by IM use only,once daily for 3 to 5 days. Hypoprothrombinemia; hemorrhages due to Vitamin K deficiencies. By a single Subcutaneous,Intramuscular or Intravenous Injection. 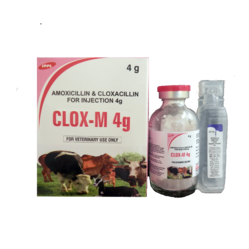 CLOX-M 4 g. is indicated for the treatment of respiratory tract infections, Brucellosis,Pyelonephritis,Hemorrhagic septicemia, Retained placenta,black Quartar,Calf Scours. Maslitis, Metritis, Pyometra,Leptospirosis,BacterialGastroenteritis,Dermatitis,Cystitis,Otitis and Abscesses,also it is recommended for surgical wounds and postoperative care. To prepare the Injectable solution,disolve the contents of vial in 20 ml Sterilised water for Injection I.P. 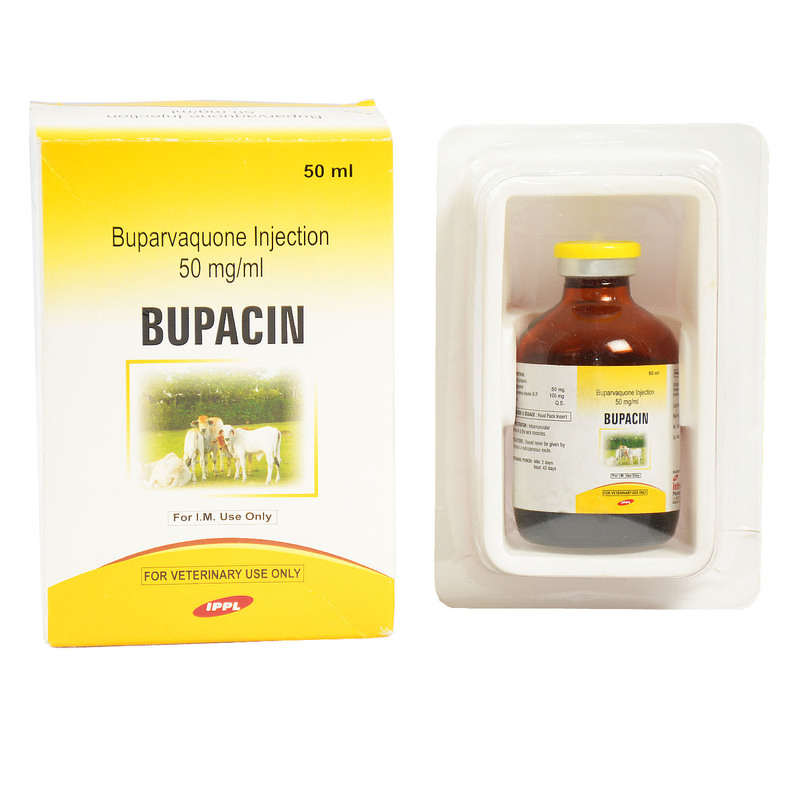 Large animals 7 mg of per kg body weight or 1 ml of for 40-45 kg body weight (Practical Dosage) once daily for up to five days. Administration IntramuscularSmall animals 15-25 mg/kg body weight once daily for up to five days.Administration IntramuscularThe reconstituted solution should be used immediately after preparation.Do not allow to freeze. 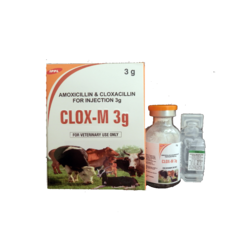 CLOX-M 3 g. is indicated for the treatment of respiratory tract infections, Brucellosis,Pyelonephritis,Hemorrhagic septicemia, Retained placenta,black Quartar,Calf Scours. Maslitis, Metritis, Pyometra,Leptospirosis,Bacterial Gastroenteritis,Dermatitis, Cystitis,Otitis and Abscesses,also it is recommendedfor surgical wounds and postoperative care. Large animals 7 mg of per kg body weight or 1 ml of for 40-45 kg body weight (Practical Dosage) once daily for up to five days.Administration IntramuscularSmall animals 15-25 mg/kg body weight once daily for up to five days.Administration IntramuscularThe reconstituted solution should be used immediately after preparation. Do not allow to freeze. For details information read the pack insert. Mastitis caused by susceptible microorganisms and renal infection. Haemophilus spp., Pasteurella spp.,Klebsiella spp., Proteus spp.,Vibrio parahaemolyticus and Staphylococcus aureus. the severity of injection. 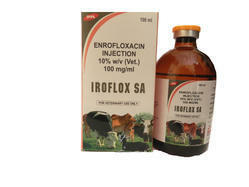 (2.5-5 mg of Enrofloxacin 1kg body weight) the second administration should be administered after 72 hours,if required. Subcutaneous use-Animals must not be slaughtered for human consumption during treatment. Cattle may be slaughtered for human consumption only after 14 days from the last treatment. Intravenous use- Animals must not be slaughtered for human consumption during treatment. Cattle may be slaughtered for human consumption only after 4 days from the last treatment.